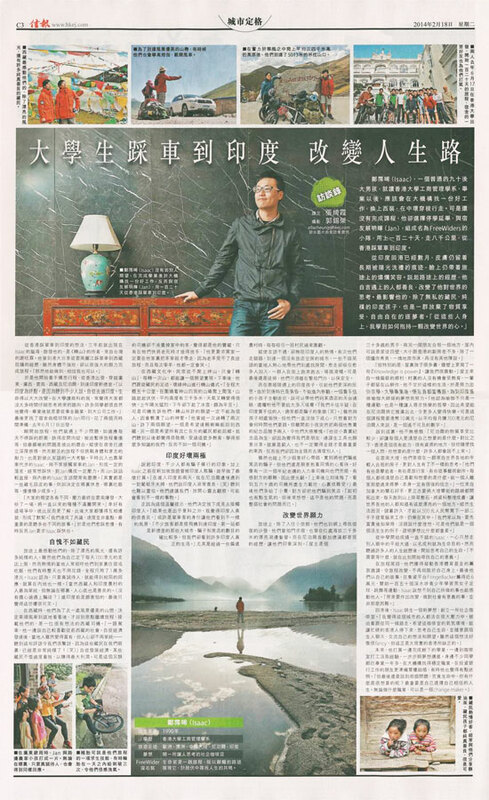 Hong Kong Economic Journal featured the trans-continental charitable bicycle journey of FringeBacker-funded FreeWiders . The two men had conquered 8,000km in 120 days, all for the benefit of fundraising for Inspiring HK Sports Foundation to support programmes for underprivileged teenagers in Hong Kong. FringeBacker-funded international equestrian Jacqueline Lai, representing the Hong Kong Jockey Club float, welcomed Chinese New Year in Hong Kong’s 2014 Cathay Pacific International Chinese New Year Night Parade.